Life to Reef ; one of the key sustainability projects of Diesel & Motor Engineering PLC (DIMO), embarked on with an aim to protect and restore the beautiful coral reefs in the Bonavista Reef at Rumassala near Galle. DIMO is proactively involved in replenishing and restoring corals which are rapidly becoming an endangered variety of marine species. The latter initiatives by DIMO haves led to an unprecedented expansion in live coral coverage in this area. 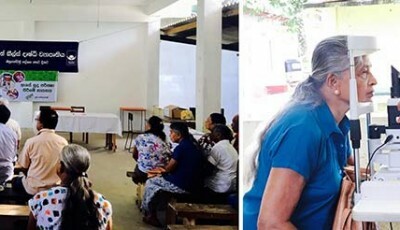 Latest statistics gathered by the Wildlife and Ocean Resource Conservation (a non- profit organization working on conserving bio-diversity of Sri Lanka), the technical partner of the project, have affirmed that coral coverage has increased from low percentage of 5 before November 2017, to a resounding 75% increase which spans over an area of 2.2 acres when measured in January 2019, contributing immensely to rejuvenate the rich biodiversity of marine organisms as a whole. Life to Reef initiative includes unique methods of coral restoration, which were experimented and found to be successful by Wildlife and Ocean Resource Conservation. 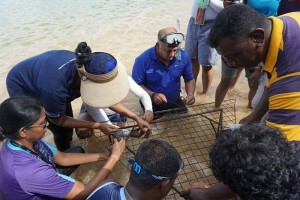 The latter coral restoration techniques included planting corals on cement structures, metal frames and nursery racks which have been deposited by divers at the bottom of the sea. The first phase of the project which began in 2017 installed on the reef, followed by the second phase in 2018. The Company planted more than 1000 coral nubbins covering the area in both phases. In a collaborative approach, the company constantly monitored the growth and progress of conservation efforts with the Wildlife & Ocean Resources Conservation, the Technical Partner of the project.The data confirmed that DIMO’s restoration efforts had contributed towards rehabilitating the reef and made possible the return of lost biodiversity to this environment. Data has also revealed that the rejuvenated reefs have helped replenish marine life. Previously, thetechnical team observed only 64 fish species in and around Bonavista reef. Currently it has been increased to 185 with the continuous growth of corals. Chondrichthyes, Actinopterygii and Scorpaenidae are some of the few species that can be identified in the area after the coral restoration project. Statistics also show that height of the these corals has been increased upto 10cm-15cm and such planted corals have also been divided in to 10-20 branches each. Initially at the planting stage height of corals was about 2cm-5cm. Furthermore, the Life to Reef project reflects DIMO’s collective responsibility outside its business boundaries. As a voluntary signatory to United Nations Global Compact DIMO ensures that the company’s initiatives towards environmental sustainability are also aligned with the Sustainable Development Goals (SDGs),This project focuses on the 14th Sustainable Development Goal- Life below water. DIMO understands that corals which are home to many species of marine life, is also a resource for responsible tourism. The Bonavista Reef project has opened many income-generating avenues for locals in the area with the development of tourism while creating a structured approach for responsible tourism. They are now empowered to rebuild sustainable livelihoods through vending food items, ornaments and by providing other services for tourists who visit the Bonavista Reef. “The project is aligned with our mission in uplifting the living standards of people and providing economic stability. We have successfully contributed in making a positive impact to society and the environment,” Pandithage added. Other significant hallmark of this project is the involvement of DIMO staff members, who were volunteers in the process of replanting corals. The programme attracted the enthusiastic participation of 112 volunteers from cross-functional departments of DIMO, recording a total of 739 volunteer hours. The volunteers contributed towards the project in different capacities such as divers, snorkelers, swimmers and underwater photographers. “Volunteering and helping others is beneficial for employees to be mentally stimulated and providing a sense of purpose. This project inculcated positive attitudes amongst our staff as they realise they contributed to ensure the future of the reef and rebuilding a community,” noted Gahanath Pandithage, Group CEO, DIMO.